Have you ever met someone that won you over with their story? In November of 2016, I was part of a committee who interviewed 18 medical students from all over the country, vying for a spot in the Ear, Nose and Throat residency at The University of Arizona College of Medicine. After each interview, my colleague and friend, Dr. Audrey Baker and I compare notes, “Wow! She was phenomenal or did you see his credentials?” Just when my stomach starts growling and I’m thinking about what we’re going to have for lunch, In walks the next candidate wearing a bow tie and tortoise shell glasses, lookin like an Ivy League James Dean. Just to liven things up, I go off script, and I go deep. Doctor, tell me about one of the greatest moments of your life or a time in your life that brought you to your knees? Most people, obviously, would have told us about their greatest achievement, and that’s a safe choice, but this young doctor went the other way. He took a risk, and opened up with honesty and vulnerability while at the same time demonstrating strength and compassion. 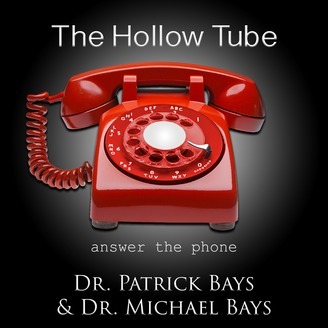 On this episode of the Hollow Tube podcast, Pat and I bring you Dr. John Symms. John grew up trapping gophers for a bounty on his family’s tree fruit farm in the small town of Caldwell, Idaho. As a young adult, he was a writer for ESPN and Powder magazine. As a professional skier, he competed in the X-games and he’s been featured in Warren Miller’s ski movies, all while maintaining a 4.0 GPA in mathematics on a full academic scholarship at the University of Utah. Now, John in his third year of a grueling 5-year, ear, nose and throat surgical residency. In this interview, John takes us back to the days before medical school- When he was ripping fresh pow on the slopes all over the globe. He’ll tell us about the sentinel event that made him trade his Descente jacket and Salomon skis for a white coat and a stethoscope. We’ll talk about the struggles of surgical residency, and how the rigorous training has and hasn’t changed since Pat and I went through it, 30 years ago. We’ll discuss the coping strategies that helped us make it through our training. And finally, we’ll offer some advice to those who are considering medicine as a profession. This podcast will apply to anyone that has a stressful job, especially service related professions, whether you’re a cop, a first responder, a teacher, a doctor or a nurse. [06:26] John grew up in Caldwell, Idaho just like the resident who is one year behind him. [08:03] John’s dad was a farmer and a large amount of his family is still there and Idaho. [10:06] They also have Vineyards and his grandparents started a winery in 1984. They then sold the winery to a wine company. [11:07] John worked on the farm every year. [11:50] John is the first person in his family to go to medical school, and he thinks it would be nice to return to Caldwell, Idaho. [13:03] John was a professional skier and participated in the X Games. [13:24] His mother was also a competitive ski racer. She then became a ski instructor at Bogus Basin and that is where John developed his love for skiing. [17:16] John went to college on a full academic scholarship. His friend gave him a trampoline, and he practiced his ski tricks everyday. [18:15] John majored in mathematics. Once you get past calculus it’s on you to read the material until it makes sense. Being able to figure out things on your own and studying things very carefully are good qualities for a surgeon to have. [19:40] John was attracted to math because even though it takes a long time to get it you know when you got it. [20:29] John has also been featured in Warren Miller ski movies. [21:03] Towards the end of John’s competitive ski career he wrote for ESPN online sports coverage. He also contributed to Powder and other ski magazines. [26:10] As a child, John was always encouraged to go into medicine. He decided to go to medical school after he graduated from college, so he went back, 2 years later, and took his prerequisite courses. [29:28] When he finally graduated and got to spend 100% of his time on skiing he realized this wasn’t his dream after all. [33:18] Dislocating his hip when he was a skier was a sentinel event for John. [34:46] He went to University of Nevada School of Medicine. [40:29] There are a lot of trauma cases in Las Vegas. John treated a case where a guy was holding a gun while he was driving in a car and hit a bump and shot his friend. He also treated a gunshot wound were a man was twirling a gun on his finger and shot himself. [41:38] John is in his third year of residency. [41:48] When Michael and Pat were residents there were no rules, and they worked too many hours and were always on call. [42:53] These five year residency and internship programs are grueling. [43:42] John gets up early and does his prerounds in the early a.m. because he needs to know everything about every patient. 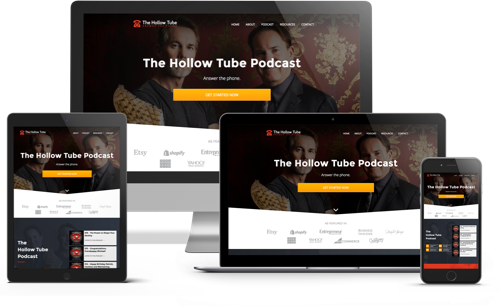 [51:25] Early in his career, John put a lot of pressure on himself to treat every ailment his patients may possibly have. [51:43] He wanted to solve all of their problems, but it wasn’t possible or feasible. [52:46] The goal should be to get the patient through their hospital stay and then when they come back to the clinic start chipping away at all of the other problems. [53:57] A lot of problems get solved outside of the hospital, and in the beginning, it was very difficult for John to figure this out. [58:23] Being a resident takes a little piece of you. You have to maintain who you are when you are doing your residency. [01:02:09] Residents don’t get very much sleep. Patrick recommends relaxing and taking brief cat naps. Being calm and practicing deep breathing. Fatigue is the worst part of a residency. [01:04:31] Emotionally detach yourself and deal with the thing that you have to deal with at the time. [01:10:17] Residency is rough, but when John is done he can create any type of life he wants. [01:11:09] John has a slackline that he walks on for exercise and balance. [01:14:17] Surgical opponents are everywhere, and you need to do the best you can to circumnavigate them. These are similar to obstacles in life. [01:15:58] A fellowship is after you complete your surgical specialty. John’s top choice ear and skull base surgery. Then sinus surgery, facial plastics, or head and neck. [01:19:18] John loves music and plays the saxophone when he has time. He collects records. His outside interests are really just hobbies. [01:20:47] John’s advice for high school kids who think they may want to be a doctor is to get straight A’s in college. [01:24:44] Don’t go into medicine for the money. Your life won’t be your own and you will be sacrificing time. [01:26:11] Shoutouts to John’s wife Annie. John took her to the senior prom and he knew he was in love with her at that time. He wishes he would have married Annie in high school. [01:27:34] Surgical training or any traumatic event will take a piece of you away. What is left is who you are at your very core. You are the light that is left at the end of the day.